As you search throughout the web you'll find numerous pages proclaiming the many benefits of investing in rare coins, gold, silver and other prescious metals. Having a true desire to own these products for their beauty and intrinsic value. The products that we sell represents not only a prescious metal content, but are also works of art created by world reknowned artists like Augustus Saint-Gaudens and Victor David Brenner. The enjoyment received from owning these pieces is no different than that from any other piece of fine art. Many people I meet believe that rare coins always move up. This is not true! Like any other market we are subject to the whims of supply and demand. At times it seems that everyone wants to own silver, and then no one does. The trick is to pick your time and follow the waves. With rare coins you must purchase with care, pick products you love and you'll find that others love them too. Research your choices. Why should silver make a move? Did a solid gold asteroid just land in Kamchaka permeated our atmosphere with gold dust? 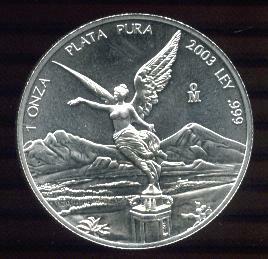 Is platinum the new basis for an energy source. These are obviously absurd examples, but market research is key. Be diligent and learn your market. I am here to help you build your portfolio or fill that rainy day hole you just made in the backyard. We do not do hard sells, rather we try to incorporate as much pertinent information into our web site as possible. I am in the business of buying and selling many different bullion products. I do not know what silver or gold will do in the next day or week or month or ten years. If I did know I would not have any time for this business, I would be setting myself up to be the richest man alive. There are four prices in this business. 1. What I will pay when you ask me to buy from you. 2. What I will sell that product to a wholesaler for. 3. What I will pay a wholesaler to buy the product that you need from me. 4. What I will sell the product to you for. It is my intention to make a few dollars every single time I touch an ounce of gold and of course much less if we are fondling the silver. For market information on precious metals a great site to visit is ShareLynx Metals Info.